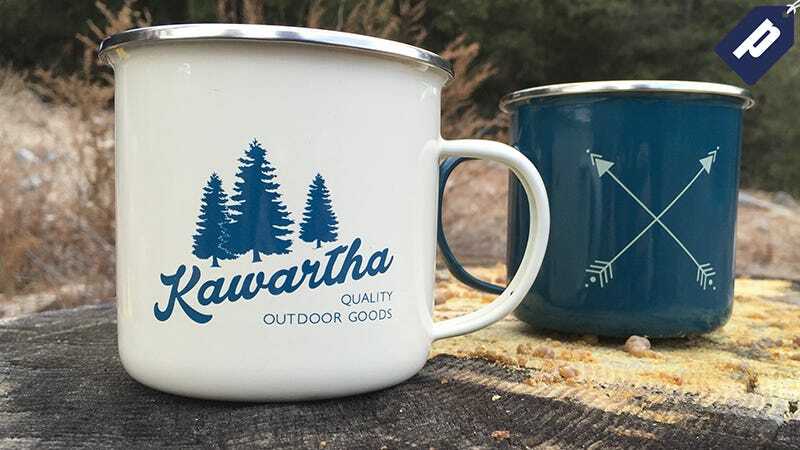 If you like camping, coffee, or both, then this enamel mug set from Kawartha Outdoor is a must. Use promo code SEPT-EM50 to grab a set of two for just $12, that’s 50% off. Built for camping but with a understated look that makes them great for everyday home use too, Kawartha is the go-to mug. These mugs are a solid 3.5 x 3.5 inches and comfortably hold 16 fluid ounces. They’re double-coated for durability and have a stainless steel rim. These mugs can be heated over the campfire and are dishwasher safe but they should not go in the microwave. The set of two gets you one river green and one cream colored mug. Grab yours now with promo code SEPT-EM50 and save 50%. That’s just $12 from Kawartha Outdoor.